Oh what timing! Beautiful curves! Lovely capture. They got my vote – 20 for 2. Much better than dancing with the stars! 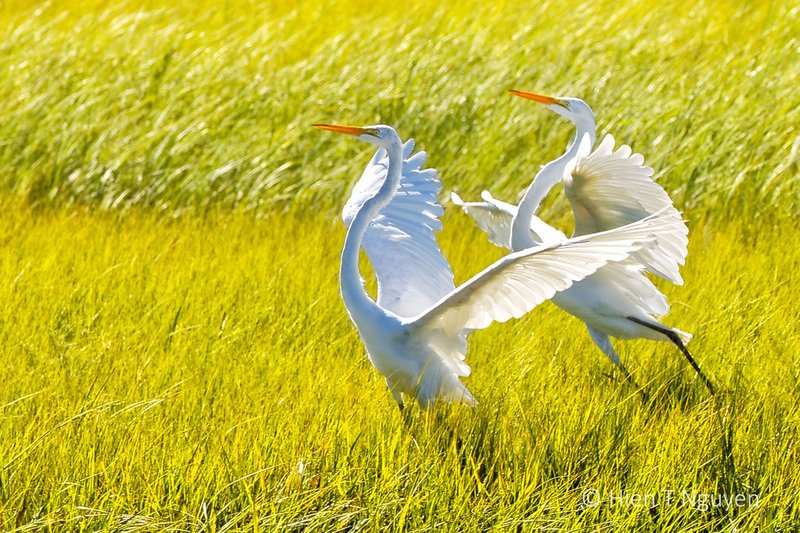 I love egrets, and you have captured the moment perfectly! Thank you Jerry! There were so many of them in that one place. A stunning photo – gorgeous light! Yes, I give them a ’10’!